An auction is often a great way to purchase a farm or ranch at a competitive price. A farm auction many times includes not only the property, but houses, barns and out buildings, equipment and sometimes even livestock. In some cases, you may be able to get a complete working farm for a competitive price by purchasing in an auction. If you are in the market to purchase a farm or ranch at auction, in the Michigan area, here are 6 tips that will make the process easier. Real Estate auctioneers are experts at helping people buy and sell property. If you are in the market to purchase a Michigan farm or ranch, it is a good idea to locate and hire a local real estate auctioneer who is a professional. If you are interested in buying through an auction, the auctioneer will be able to help you find properties in the area that are being offered through auction only. If you are the buyer of property at a Michigan auction, your licensed real estate auctioneer will also assist you with all of the closing documents that will be necessary to complete the sale. Occassionally, Michigan farm auctions are offered through a county, state tax assessor, bank, or bankruptcy court. Check the county and state tax office records for a listing of properties for auction. These auctions may also be listed in a local newspaper. If the farm is not in default, and is being sold by the current owner or a private party, the listing may be with a real estate auctioneer. Most farm auctions are offered by farmers who want to sell their farm and realize that auction is usually the very best method for selling farm land. Many Estates and Farm Corporations also appreciate that auctions are a very efficent method to sell a farm. An auction expedites the sale by setting a date that the farm will sell and setting a closing date, usually within 30 days of the auction. This is good for the seller and the buyer, knowing when the closing is expected to take place. Make sure you know exactly what you are getting. Listings generally include a complete list of all property features that are available, as well as pictures. However, it’s always a good idea to take some time and tour the farm auction you are interested in. The auctioneer is generally a good place to start to make an appointment to view the property. Usually specific times are set aside for viewing the property. Do not visit a property without an appointment, however. This can be an unnecessary burden to the seller. It’s always a good idea to research the selling price of other, similar properties in the area. You can do this on your own by researching property tax and assessor records. Knowing how much similar properties have sold for will give you a good idea of what you should pay for the property you are interested in. Buying a property for more than it is worth can cause you issues with your financing and slow down the closing process, so it pays to know the fair market value of the property. Many auctioneers will require proof that you have either cash on hand or financing secured before they will let you participate in an auction. Because the closing of the sale will occur quickly after the auction is complete, it is in your best interest to make sure that the funds you will need are available as soon after the auction as possible. Questionable financing or inadequate funds can delay closing or cause you to lose the sale to another bidder. Before you walk into a farm or ranch auction in Michigan, make sure that you fully understand the process from registration to closing. This will make the experience as pleasant as possible for you, especially if this is the first time you are buying a property through an auction. If you are not sure where to start learning about the auction process, work with your auctioneer that will be selling the farm. These people will be more than happy to help you learn everything you need to know about auctions, the process and how to be successful. Searching for a Michigan Farm Auctioneer? 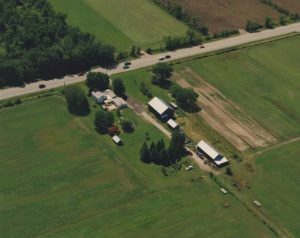 If you are looking for a farm or ranch property, and need to consult with a Michigan farm auctioneer, Gary M. Berry, Auctioneers – Realtors are here to provide you all of the assistance you need to purchase the perfect property. For more information on our services, to learn more about real estate auctions or for a listing of available properties, please call us at (248) 299-5959.